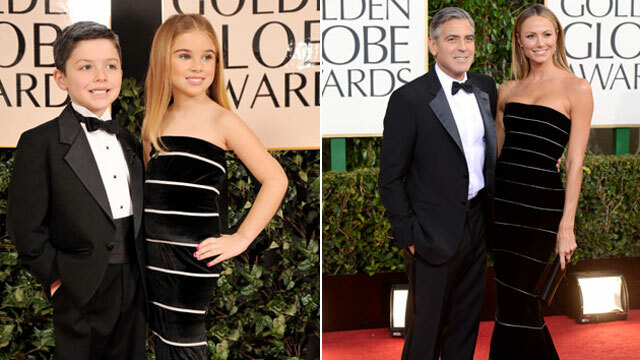 Well, it was said a lot about Golden Globe Awards this year. You may even be sick and tired to read about those 'fabulous suits and gowns' that hit a red carpet that night. But wait, here is a new twist. A mini one. (You see, just another prove of our TESSful theory that Small is the New Big). So, that's how it worked. On Sunday night, Tricia Messeroux watched the show together with a designer Andrea Pitter to select the looks, on Monday - they booked models and selected fabrics, and on Tuesday - shooting rocked the place. 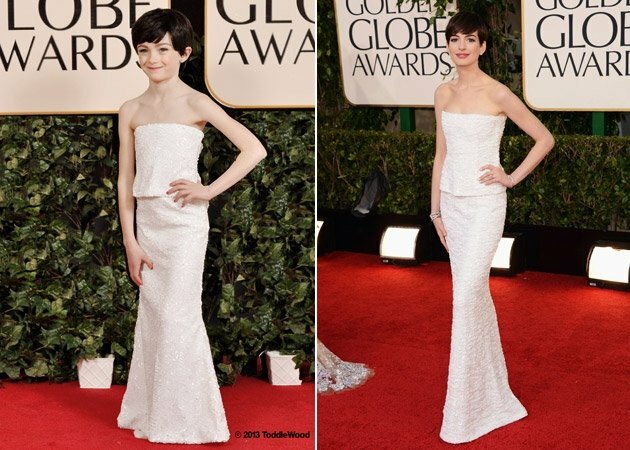 The choice of celebrities, which Tricia wanted to 'shrink', was driven by three main criteria: “the detail of the dress, the person, and if it is possible to keep kid appropriate”. From the moral stand point, the photographer rejected all deeply décolleté dresses, which apparently were trendy this year. 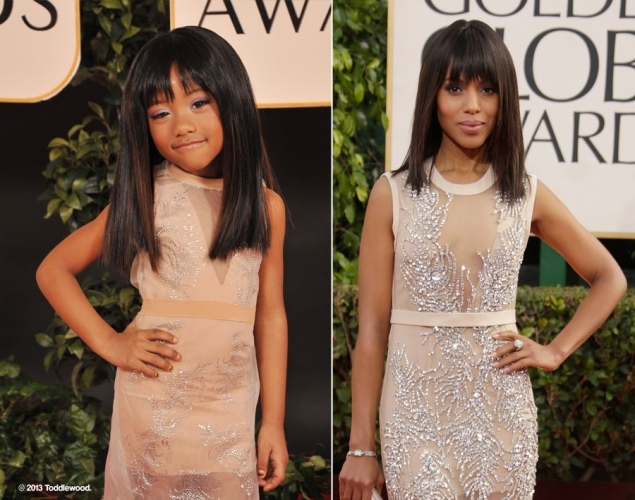 Look how TESSfully these little cuties work the red carpet gowns! Fabulous! Wow!! What a fantastic post! These kids look so adorable! Oh my god that's so adorable! This is absolutely adorable! 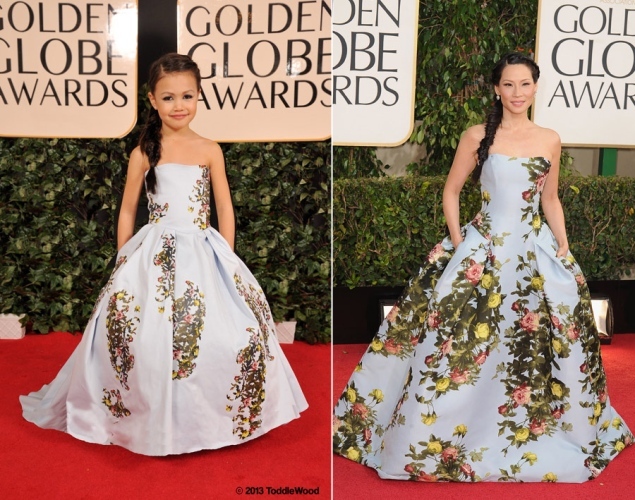 Lucy Liu mini's dress looks spot on!